Not only is cleanliness important to the health department, but to your customers, too. Once a customer discovers an unclean area in a restaurant, it is difficult to bring them back. MTO Janitorial will help you keep your Prescott restaurant clean so that your customers keep coming back for your delicious food. You invest so much with your unique recipes and ambiance, don’t let cleanliness (or lack thereof) be a problem. A clean dining and cooking area are so very crucial to your success and how your restaurant is perceived by the public, not to mention the health department. 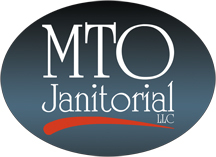 MTO Janitorial caters to the Prescott restaurant industry and understands its special needs and requirements. They will work with you to design a cleaning regimen to keep your customers coming back and the health inspectors happy, all within budget. For a free estimate, or if you have any questions, call 928-772-0004.